3. How long do the effects last? While very individual is unique, one can expect the effects to last for at least six months following a course of treatments. If someone is able to maintain a healthy lifestyle and have the occasional top-up treatment, then the effects of a course of Facial Rejuvenation Acupuncture last for a year or so. 4. What should I expect during a treatment? Prior to treatment, I will seek to determine if any health issues need addressing as well as discuss the specific aims and expectations each patient has. Then, I typically move on to treat the body in order to improve and regulate hormone responses as well as reduce any stress that may be present. I will then treat the face by stimulating facial tissue as well as lifting and firming facial muscles. Following acupuncture, I will conclude the treatment with a soothing facial massage. 5. What should I expect after a treatment? Following a treatment, one is likely to feel very energised and clear, and the skin feels very alive. Visually, an improvement to the skin tone will be evident a day or so later and this process will continue after each treatment. Facial Rejuvenation Acupuncture is very safe when administered by an experienced practitioner. In my pursuit of excellence, I have studied this method intensively, have undertaken rigorous clinical training and have been practicing for over five years. 7. Are there any unwanted side-effects? Following a treatment, it is possible that very small red markings are visible where the needles have been placed, but these tend to fade quickly. It is similarly possible but rare that localized bruising will occur when the needles are removed and these can be treated instantly and effectively with the application of arnica gel. Although such bruising may be unsightly, it is not actually detrimental to the object of treatment as it is an indicative of an intense supply of healing nutrients and enzymes to an area. 8. Does it really help with the signs of ageing? Facial Rejuvenation Acupuncture not only helps eliminate lines and wrinkles, it also reduces puffiness around the face, dark circles underneath the eyes and any pimples and scars that may be evident. Similarly it reduces sagginess and the double-chin effect, helping to create a more vibrate skin tone and youthful complexion. This treatment is based on techniques dating back around a thousand years. It was used in the court of the Song Dynasty in Imperial China where both the empress and the emperor’s concubines used the technique in order to maintain their youthful looks. 10. Can anyone have this treatment? 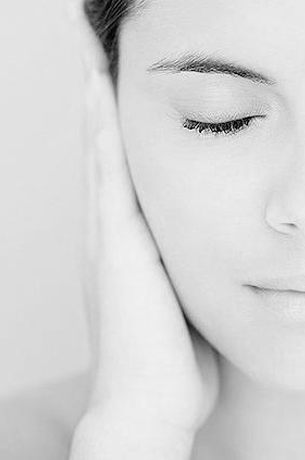 Facial Rejuvenation Acupuncture would be unsuitable for pregnant women, for people with high blood pressure or for those who suffer from migraines. Prior to any treatment, I will seek to determine if any health issues are present and will always address them prior to treating the face. ​11. How does Acupuncture work? Acupuncture stimulates the nerves in the skin and muscles as well as increases the release of the body’s natural painkillers: endorphin and serotonin. It also stimulates the nervous system, as well as hormone outputs, circulation, antibody production and allergic responses. Furthermore, it benefits the respiratory, digestive, urinary and reproductive systems. It does all this through the insertion of ultra-fine sterilised needles into specific points on the body that were first recorded by physicians in ancient China. 11. How does Acupuncture work?